I was shocked to hear a dear friend jump into Bernie Sanders’ camp upon his revulsion with Hillary. He said he assumed that Sanders as President would not be able to accomplish the blatantly hard line socialist policies Bernie promises, such as 90% income tax rate, as if that made Sanders acceptable. Of course, Obama’s Council of Economics Advisers report glowing results of the 50 year War on Poverty, which they explain by manipulated statistics, and recommend spending more, raising the minimum wage, and basically continuing to make Americans dependent on their government. 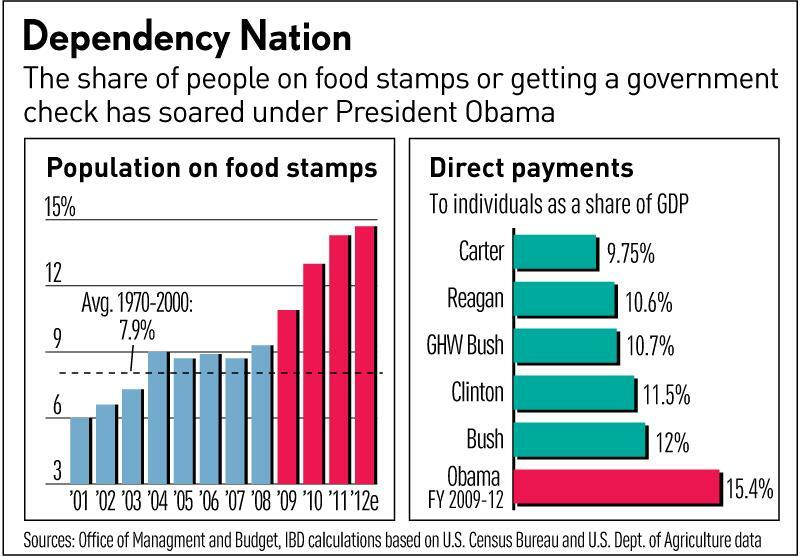 By one simpler measure, observe the rapid growth of the Food Stamp program during the Obama administration. If poverty is declining, then why is the rate of Food Stamp users increasing? Dear Bernie and friends, clearly, more of the same socialist policies will not be helpful. Lovers of liberty recognize government welfare as totalitarian policy.